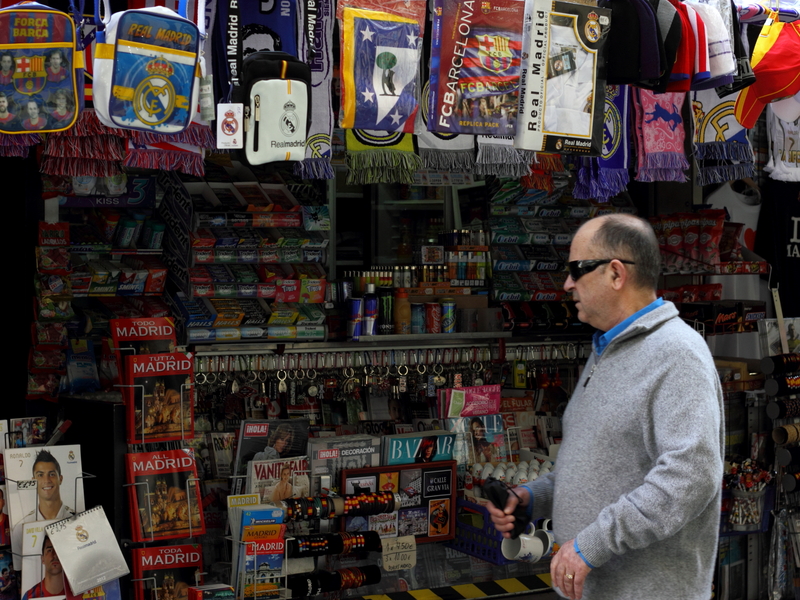 IT goes without saying that for football fans who like a trip abroad, the ideal excursion is a combination of culture, football, food, drink (!) and meeting people from different corners of the world. If, like me, you tick all of those boxes when you go on a jaunt, then you inevitably form some form of judgement about the world’s great footballing cities. I’m starting a project that ranks cities from a footballing strength, be it playing success, cultural importance, public interest and depth of club saturation. Through Game of the People, my website, I’m hoping to produce a report that will gain some form of credibility. This has led me to form some initial thoughts on the cities that are likely to feature. From a contemporary success perspective, Madrid has to be near the top of the list. Real Madrid and Atletico picked up the major European prizes in 2017-18 and they’re both huge clubs that have a very positive trajectory. It is a no-brainer as they say. Manchester, London, Liverpool, Munich and Barcelona would all have claims to being among the top football cities. But a city, arguably, needs more than one top club to give it gravitas in this category. This is why a delightful place like Paris, even with the mighty PSG, cannot compare with the likes of Manchester and London, no matter how much the Parisians claim, “Ici c’est Paris”. The French capital, wonderful tourist destination it may be, but it has a chequered history as a football location – it is very much work in progress. Of course, if the passion is all-consuming, then a one-club city can become a hotbed despite lacking club depth. Often the temperature of a football city is built on rivalry, either within that city, such as the aforementioned English cities and Milan or across geographies, such as Real v Barcelona or Dortmund v Schalke. I often wonder if clubs like Ajax need a competitor in their own city. Often capitals are not necessarily the nation’s top football venue. Germany is a case in point where Berlin is the seat of power, Frankfurt the financial centre, but the football hub is currently Munich. One might claim that cities like Berlin and Paris have so many other distractions that football is a by-product, although Paris is trying its best to become the go-to place for football after years in which Marseille, Lyon and Bordeaux, not to mention Saint-Etienne, dominated the French football narrative. Similarly, in Italy, Turin is now the capital of Italian football while Rome and Milan trail in its wake. If you asked anyone to name the top European football cities some 20 years ago, Milan, with Inter and AC Milan, would probably have been at the top of the list. But football is a global game and we cannot assume Europe is the be-all-and-end-all. Football is possibly even more important in major Latin American cities even though its clubs cannot compete financially with Europe’s giants. São Pauloand Rio de Janeiro in Brazil (to name but two), Mexico City, Buenos Aires and Montevideo are all huge football cities, not just due to multiple clubs, but also because of the sheer devotion to the sport that people have. Football’s simplicity has always appealed to people with limited material wealth and possessions, but if you have a ball – be it a proper ball or improvised one – then you have a football match, and if you’re able to play football, there’s a chance of leaving poverty behind. And there’s another aspect to consider for the future and that’s the rise of the United States, India and China. The US may never give the world football cities that can compare to the game’s traditional powerbases, but Major League Soccer is on the rise. Furthermore, once the game takes hold in places like India and China, and the process is advanced in the latter, then we may yet look upon Beijing or Shanghai as football hubs – certainly if the Chinese administration gets its way, a World Cup will be hosted (and possibly won) in China. Yet most great football cities are built over decades and on the back of huge clubs and outstanding players, so we should not forget the part played by places that are less fashionable than they once were. Historically, metropoles like Prague, Budapest, Vienna and Lisbon were influential, ground-breaking and had huge public appeal. Modern football owes much of its structure to these cities, yet they have been overtaken by globalisation and the rise of the uber-club. I would like to think that Budapest, for example, has a right to stake a claim in my planned project just as much as some of the more fashionable places in today’s football world. It promises to be an interesting exercise. This article first appeared in Football Weekends magazine, reproduced with permission. Previous Entry Great Reputations: Grande Inter – a harsh legacy? Next Entry The Non-League 100: Peterborough United of the ’50s – perhaps the best?